Police Report: 30-year-old Unemployed man commits suicide after suffering severe depression as he was not getting a job, he jumped off the Flyover in Mayur Vihar in East Delhi. The 30-year-old man has been identified as Saurabh, he is a native from Bihar who was staying in the New Ashok Nagar. 30-year-old Saurabh got his Bachelor of Technology Degree from Bihar. The Police of Mayur Vihar were informed about the incident on 9 am of the same day, and they rushed to the scene of the incident. 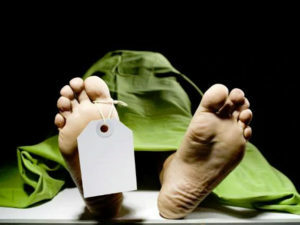 30-year-old Saurabh was brought to the nearest hospital but was declared as dead on upon arrival by the doctors. The police also recovered a diary from the house of Saurabh where they found out that he was really sad and depressed as he was not able to get any job. The diary was dull of depressive thoughts that he wrote over being unemployed. In an investigation that was made by the police, it showed that Saurabh moved to Delhi 2 months ago and was searching for a decent job. After the post-mortem was done, the officials handed the dead body to his family members.